I usually build them out of solid wood with pine being the favoured material. It strong, cost effective and can be painted. It is also possible to shape the wood, adding curved beading as in the bookcase shown. 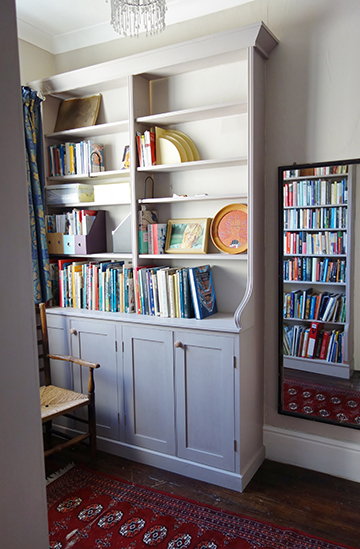 The shelves are adjustable for any size of book and the cupboards allow extra storage. The bookcase shown in the reflection makes up a matching pair of shelves.